Free printable ocean themed lowercase alphabet pdf chart to print. A to Z letters in lowercase with fun pictures of ocean creatures such as starfish, lobster, fish and a turtle. Free ocean letter chart for kids. 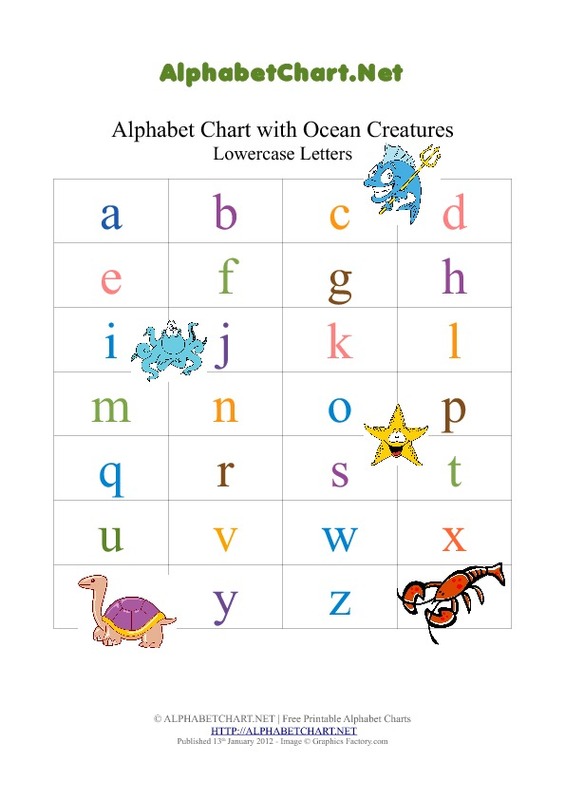 Download and print our free pdf chart with alphabet letters and ocean creatures. This chart contains pictures of ocean creatures.